A quick and easy attachment and bright, long-lasting light make it a staple for everything from daily life to overnight adventures. 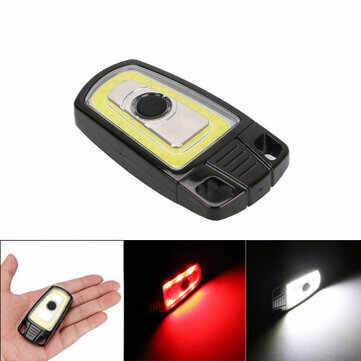 High-tech LED mini light, with versatile three-mode operation:White light,Red light and flash red light. Easily clips to purses, zipper pulls, and keys for convenient, within-reach light. Push button switch,built-in rechargeable battery and USB charge,easy to use. Spotlit LED on light provides an ambient glow bright enough to read, find your keys or keyhole, locate tent lines and camping gear, attach to your person for visibility.